Last_Laugh thank you for your comment! Fellwar Stone I'll 100% put in instead of Star Compass , nice! 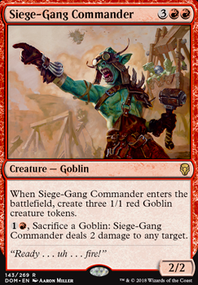 With Smothering Tithe I thought about going full Treasure Token and then win with Revel in Riches , but I like my other win con better tbh as this one is at my upkeep. Plenty of time to board wipe or remove Revel. If I just play Smothering Tithe, I'm not sure if I even can use up all that excess mana. Most of my card draw Gate to the Afterlife , Grim Haruspex and Midnight Reaper all say non token creature, so I can easily see me playing my full hand and then playing top deck afterwards. Oversold Cemetery depending on the meta I think this can be great. With the amount of exile and graveyard hate one playgroup of mine plays I don't think this will ever trigger. But my other playgroup nearly never removes graveyards. I might swap this with Open the Graves and try it out. Bloodchief Ascension is interesting because it's very cheap, but on the other hand what if I draw into this late into the game. Then it's probably not valuable at all. I thought more of putting in it's counterpart Luminarch Ascension , because this is a great card later on, threatening to put out a ton of 4/4 angels for just. h0ly_danc3r Regna was good but mainly to tutor and provide sac fodder to Krav. I ended up taking them out in my latest update, but I want to find a place for them again at some point. If you're going for more of a lifegain package, then bloodlord and sunmare definitely seem good, but I'd include some more consistent lifegain death triggers to make sure you can gain life each turn no matter what. 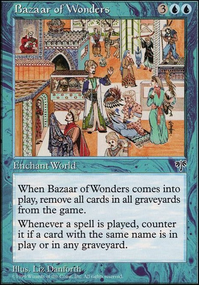 Some cards I can suggest are: Ashes of the Abhorrent (especially if your playgroup has graveyard shenanigans), Gate to the Afterlife (which I've decided to include just for the looting), Pious Evangel Flip, Proper Burial , and maybe Deathgreeter . patrikl Nether Traitor is good for the reasons you mentioned, but that doesn't mean its better than reassembling skeleton. They're quite different, and neither is better than the other. I personally like skeleton more because it's more independent than traitor. Skeleton can go off with just a sac outlet and a mana-producer while traitor needs consistent other creatures. However, traitor does need less mana producers to go off, so I'm gonna find a place for it for consistency's sake. I've found that many wins come off of reassembling skeleton, so having another one will be helpful. Nim Deathmantle is basically a more expensive reassembling skeleton that can loop other creatures instead of just itself. If I'm going to be looping something, the game is going to end soon, especially with the amount of death-trigger-card-draw in the deck. Personally, skeleton and traitor are preferable to deathmantle because they cost less to loop. However, deathmantle only requires generic mana which is a big plus, especially in terms of Ashnod's Altar . I'm not completely closed to the idea of deathmantle, but I currently I feel like its too specific in its needs for a combo. I understand its power though and if the maybeboard was ordered it would definitely be close to the top. 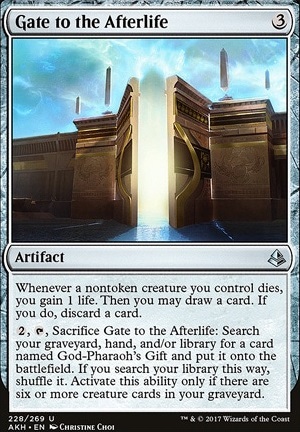 Gate to the Afterlife does actually seem a lot better than Harvester of Souls because finding specific combo pieces is very often the plan. I'll definitely include it instead of the ladder. Yeah Lifeline is insane. I'm definitely gonna replace something for it. For now, I think its gonna be krav, regna, and harvester out for lifeline, traitor, and gate. I like krav and regna, and I'd like to find a place for them again, but for now, they're pretty slow to help the engine while the cards you mentioned do so much more efficiently. Despite what you said earlier I think Nether Traitor is much better than reassembling skeleton, even if you say the skeleton can be brought back anytime you can also do that with the traitor as long as you have other creatures and if you have no other then you have bigger problems than that, the traitor basically doubles any death trigger for 1 black mana (half the cost of the skeleton) and it can make infinite mana + death triggers with a single token on death card and Phyrexian Altar , the infinite mana is amazing because it let's you combo earlier and play other threats if you don't have a card like zulaport. I think both deserve a place in the deck. Also Nim Deathmantle is too strong to ignore having so many ways to generate mana on death and create tokens. Have you tried Gate to the Afterlife ? its really good, even if it is a loot effect you usually just need something specific to combo out, I tested it in my shirei deck and I think it's much better than harvester of souls just because it gets earlier into play. And maybe is because of my love of shirei but I think Lifeline is ridiculous in a deck like this even if your opponents can use it your deck is designed to abuse it more and it also protects your board against mass removal if you have a free sac outlet which is always a weakness in decks like this that try to stablish board presence and get your engine going. Anyway, amazing primer! you gave me lots of ideas for my own teysa deck. Gate is a nice value engine but nothing beats straight synergistic tutoring. In order to prevent games from dragging on, I really need to acquire my combo pieces, so Intent is in to help. 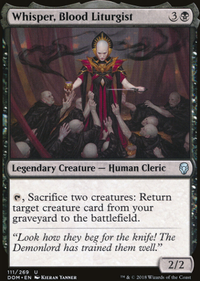 Gift is actually pretty strong on its own without Gate because Teysa gives the eternalized creatures lifelink and vigilance, and the occassional Anointed Procession makes it REALLY good. 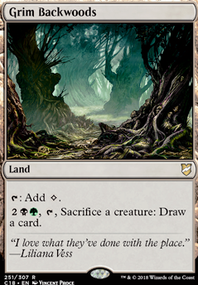 That said, it takes the backseat for now for Tithe, a card absolutely proving its worth in EDH. 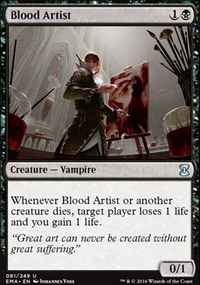 Butcher is really nice, it really is, but it's just a little too high on the curve, and my aggro playgroup is really sick of my triple redundant Grave Pact s, so I figure I can cut them some slack. I've been running into a problem of being unable to recur my fatter creatures off Reveillark or Dusk / Dawn so the straight reanimation from Whisper should turn useful. First round of changes in pre-playtesting (substituting a bunch of cards since I’m waiting on some in the mail)! Extra thanks to hkhssweiss for helpful suggestions! Costing one less matters, and Kaya’s Wrath is such a cool card flavorwise. The additional life gain from Fumigate is negligible. Rebirth was too expensive and the token pretty much died immediately. In went my favorite chaos boardwipe, and boy can our deck abuse it. Chuck everything in the bin (including our commander) before casting it to make everyone go “uh oh”. Yeah, I was pretty stupid for not shoehorning in this ridiculous card advantage machine. I was initially skeptical about triple black and losing discarded cards to exile, but I found as long as they weren’t my combo pieces, I usually didn’t care. I always had surprisingly high mana, so I could cut a budget land. For the future, will be considering cutting Gate to the Afterlife and God-Pharaoh's Gift for Diabolic Intent and Smothering Tithe .